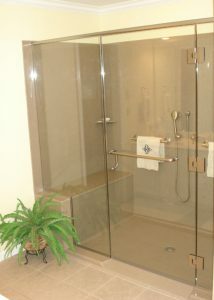 Jetted tub was removed and replaced with an Onyx ramped curb shower base and seat. 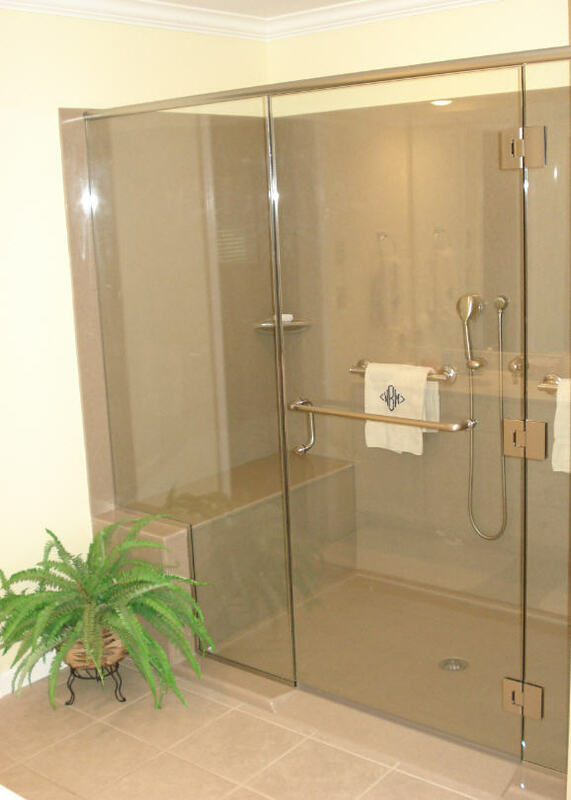 1/2″ frameless shower door with brushed nickel hardware. Standard shower head function with alternate hand shower function.